Irritable bowel syndrome, or IBS, is a condition in which the colon becomes ultra sensitive. As a result, the patient suffers from various gastrointestinal issues, which may include gas, bloating, cramping, and a distended stomach. In the U.S., approximately 15% of the people have experienced IBS. Young people experience this first. It affects almost twice as many women as men. IBS is usually connected with anxiety. There has been no known IBS cases that damaged the gut or caused cancer, but the condition is very unpleasant. However, long-term IBS can cause hemorrhoids or depression. Physicians agree that IBS occurs because of a neurological problem. The intestines get messages from the brain, while they send impulses back. The more stressful a person is, the less powerful is the brain's capacity to send messages to the intestines. With this issue, the intestines can move food too fast or too slowly. That results in painful cramps and diarrhea or constipation and bloating. People with stress, sleep problems, and anxiety can get IBS. People most probably opt for OTC meds which fix constipation or diarrhea but only temporarily. The relief you feel isn't long term. It's impossible to solve the real issue with these medications. With IBS being linked to anxiety and stress, the experts have a reason to suggest medications to manage anxiety. There are people who become drug dependent on these drugs even after the IBS is gone. Additionally, these drugs contain harsh synthetic chemicals that may have dangerous side effects if taken for long periods. When taken as directed and following the advice in our eBook you will see a progressive improvement in less than a week. A small percentage of our customers do not respond to our product, for this case we offer 60 days full money back guarantee. Our guarantee is simple: If you are not amazed by the improvement, return the open bottle for a full refund! Product safety is extremely important for us. Bavolex™ contains natural plant and herb extracts that are considered safe. Although numerous customers use Bavolex each day since 2009, no adverse side effects have been reported. As with many other products we recommend that you don't use Bavolex products while pregnant or nursing because the effects on fetus have not been evaluated. You should not take Bavolex if you are taking blood thinning medication or antidepressants. 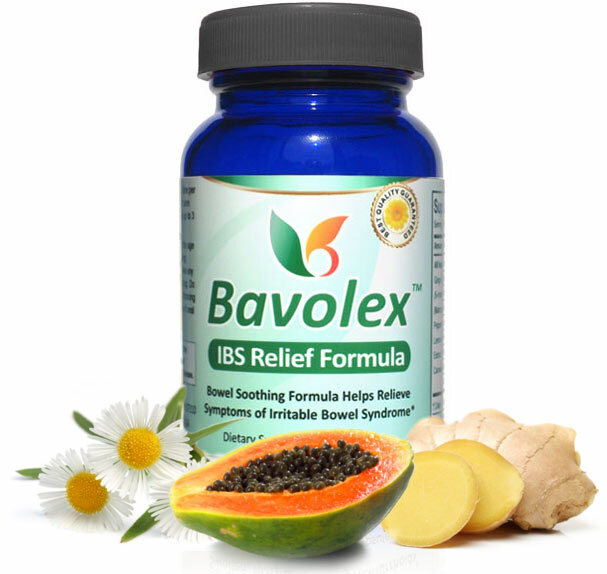 "Bavolex IBS Relief Formula is herbal supplement formulated with enzymes and natural extracts to help reduce symptoms of Irritable Bowel Syndrome. 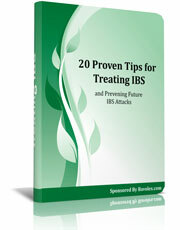 *"
In this eBook, you'll learn 20 tips to get rid of Irritable Bowel Syndrome attacks for good. These tips cover stress reduction, ways to prevent an IBS attack, and diet. This no-nonsense eBook is a lesson on simple lifestyle changes. A must-read for anyone who wants to put an end to Irritable Bowel Syndrome today. 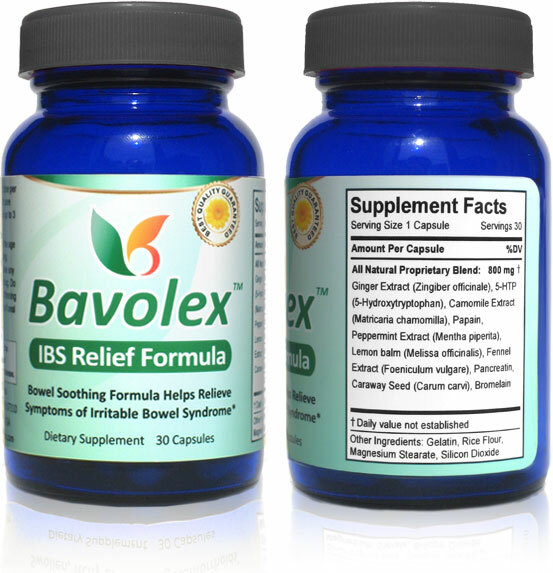 Natural ibs help Bavolex Natural IBS Remedy Bavolex herbal supplement uses natural ingredients such as chamomile, fennel seed, peppermint, ginger and lemon balm, to name a few, as a natural IBS medicine.